One of the defining features of Developmental Psychopathology is the appreciation that childhood psychopathology can be understood as normal development gone awry. In order to understand childhood disturbances effectively, we must understand and discover what forces can divert development from its usual course and what can encourage a return to normality. 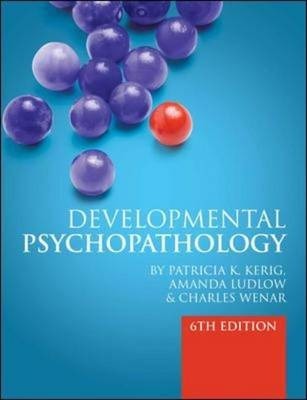 This provides a unifying framework across the book, in conjunction with the developmental approach; this enables the psychopathologies to be presented in roughly chronological order from the age of onset, to help students to "think developmentally".This new edition is thoroughly updated to include recent theories and research of interest in the area. It has also broadened its scope to offer a more international approach to the subject, providing students with a selection of the best research from across the globe.